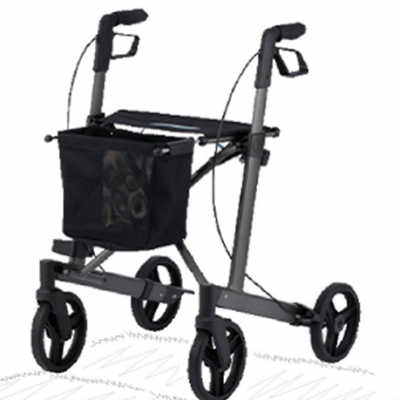 Specially designed heavy duty rollator provides excellent stability in a mobility frame and is perfect for the larger shorter client. Features include a solid padded seat for security and a larger sitting area when it’s time to rest. Folds easily for transport and weighs 9.4kg. Seat height: 49cm, Seat width: 43cm, Sitting space: 51cm, Adjustable handle height range: 75-85cm and User height range:147-163cm.